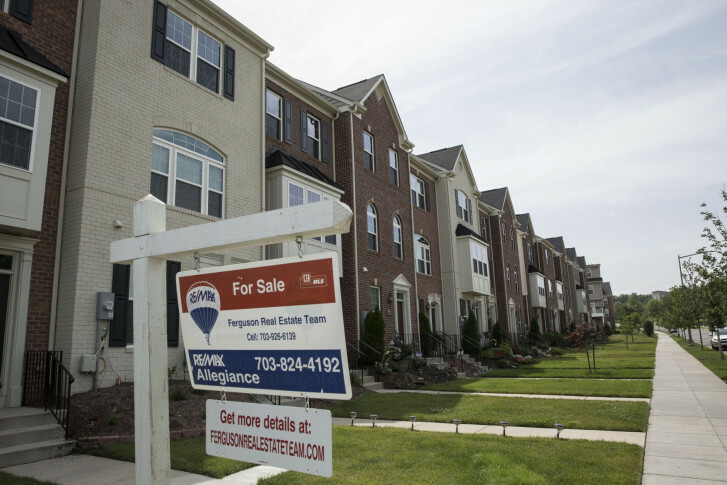 Freddie Mac says the average rate on a 30-year fixed-rate mortgage for borrowers with excellent credit fell to 3.41 percent this week, barely higher than the record low 3.31 percent set in late 2012. WASHINGTON — With Treasury yields hovering near record lows, mortgage rates show no signs of rising. The average rate on a 15-year fix, an increasingly popular mortgage for buyers and homeowners refinancing, fell to 2.74 percent this week. “Continuing fallout from the Brexit vote drove Treasury yields lower again this week. Mortgage rates have now dropped 15 basis points over the past two weeks, leaving them only 10 basis points above the all-time low,” said Freddie Mac chief economist Sean Becketti. Banks and mortgage brokers are doing a brisk business right now. The Mortgage Bankers Association says applications to refinance an existing mortgage jumped 21 percent last week to the highest level in 18 months. Almost two out of every three mortgage applications are currently to refinance an existing mortgage. The yield on a 10-year U.S. Treasury bond, closely tied to the movement of mortgage rates, fell to a record low 1.36 percent earlier this week and was around 1.41 percent Thursday morning.